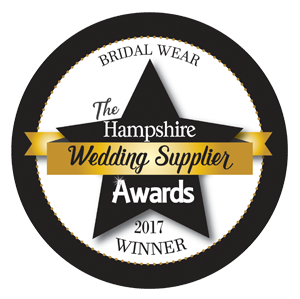 Creatique’s choice of wedding gowns and amazing customer service has made it one of the UK’s premier bridal shops. The idea behind Creatique’s was started by Andrew Pearce 25 years ago as he designed and created unique wedding gowns in a workroom from his personal home. Once he met his partner Rob their personal brand grew to include tiaras and jewelry. Having worked a few years together they decided to start their own bridal boutique, Creatique’s. This small boutique had a workroom and featured a small collection of designer gowns, with Justin Alexander being one of the first collections they carried. Creatique’s now only carries Justin Alexander and Sincerity wedding gowns. This year they have expanded once more and opened another store where they feature a wide range of designers. The service that Andrew and Rob provide for the brides is like no other. They have won many national awards for their amazing customer service. During a bride’s consultation they provide inspiration for the bridal look as well as the overall wedding concept. Not only do Andrew and Rob know how to dress women but they consider every single aspect of the wedding. They do this to help create a consistent theme and while it starts with the wedding dress it continues through the table runners, flowers, venue, and cake. What makes going to Creatique’s a truly unique experience is that they don’t just sell wedding gowns to brides- they style them from head to toe. A major detail that helps set them apart is that they have an in-store hair salon where brides can test hairstyles while wearing their dream dress. Rob and Andrew advise brides to do their research first. Look for bridal stores that stock the collection you’re interested in who also have great recommendations from other brides. You can also check out their social media accounts to take advantage of any promotion or trunk show. This is also a great way to get in touch with brides who have already purchased from that store or collection and get recommendations from them. They also warn brides from inexpensive dresses they will stumble upon while researching online. If you think the deal is too good to be true then it most likely is! Beware of counterfeit wedding dresses online. Andrew and Rob’s favorite Justin Alexander wedding dress at the moment is Style 8630. It has a classic shape and the bodice and neckline flatters a fuller figure. Make sure to follow Creatiques on Twitter and Facebook for their latest bridal updates!